We recently presented a program at the American Bar Association Dispute Resolution Section Spring Conference on the Neuroscience of Implicit Bias. The presentation included a brief overview about implicit bias, a discussion of how and why implicit bias exists, how it can impact mediation and the neuroscience of implicit bias. We concluded with ideas to reduce bias and to inhibit bias during a mediation. 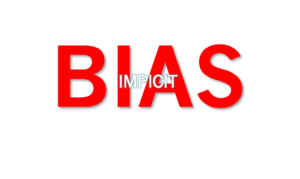 This post will briefly review what implicit bias is and how why it developed in humans. The next post is about strategies to reduce implicit bias. Implicit bias refers to attitudes or associations of stereotypes towards groups without our conscious knowledge. It is pervasive, can be dissociated from explicit bias, and it can influence behavior. Implicit bias is most commonly measured by taking one or more Implicit Association Tests offered by Project Implicit (https://implicit.harvard.edu). The website offers 14 different tests on bias towards race, gender, weight, age, religion and many other topics. The test measures your reaction time in sorting words, for example the difference in time to sort work related terms when those terms are paired with males as compared with the time it takes to sort work related terms when paired with females. After taking one of these tests, you get the results of your bias on the tested item and get a summary of how thousands (or millions) of other test takers have scored. Why do humans develop biases? The neural capacity for biases are hard wired into our brains. What we commonly call “implicit bias” can be broken down into biases, social biases, implicit biases. Biases are a form of selective perception that helps us quickly sort friend from foe by focusing our conscious mind on human faces and forms. Social biases allow us to recognize our own social group v. other groups. This recognition helps us cooperate with our own group and protect our group from outsiders in times of need. Implicit social biases develop over a lifetime from life experiences as well as exposure to our surroundings and culture. Our specific implicit social biases are learned and can be modified, but like biting our nails, overeating, or other habits, modification is very difficult. Why is implicit bias a concern? Mediators are required to act in a neutral manner in mediations. Implicit bias can influence mediator behavior even if the mediator has explicit views opposite from the bias. Some empirical evidence indicates minority claimants may receive lower settlements in mediation than they would in litigation and that may be, in part, because mediators are susceptible to implicit bias.